Long-term medical emergencies aren’t something we want to plan for. It’s intimidating to think about, and it can be difficult to plan effectively for them when you aren’t sure what to expect. However, in the event that you or a loved one face a worst-case-scenario, there are a few next steps you can take to ensure that your plan is adjusted to take care of you and your spouse in your new circumstances. 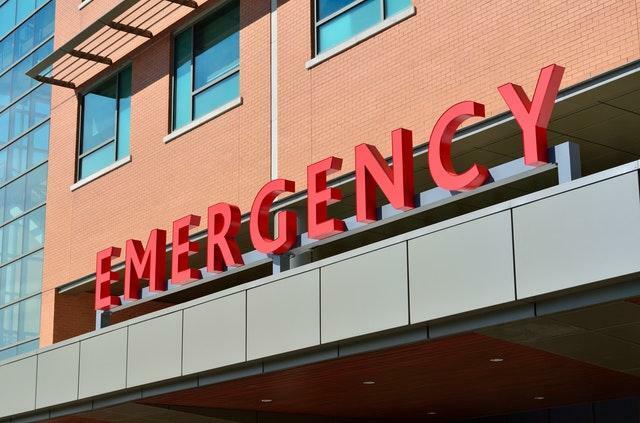 Whether you’ve just discovered an illness, or you’ve had a physical accident that’s going to have long-term ramifications, medical emergencies are emotionally challenging. Even though your head is reeling with your “new normal”, take this time to do some research. Study up on your condition – knowing everything from your current symptoms, to how they might progress, to treatment costs and effects, can be helpful. When you’re doing research you’re likely visiting your doctor, various specialists, and calling your health insurance provider to determine treatment limitations. Whenever you can, try to have somebody else with you as you visit in person or on the phone. Have them take notes as you ask questions. This can help you to gather all of the information available for processing later – you never know when you may need it! Once you have gathered this information, share it with your financial and legal advisors. Your financial advisor will work with you to develop a financial plan and budget based on your medical needs. It’s important that you feel comfortable enough with them to give them the information they need so they can adjust your plan accordingly. (If you don’t feel comfortable, now is the time to find someone else). You may need to adjust your investment portfolio to plan for having more cash on hand. You may want to discuss lifestyle options that can reduce expenses and free up cash flow. Additionally, consider meeting with an estate planning attorney to draft new documents or review the current plan you have. Even if you don’t need them immediately, they may become important later. Your advisors may be able to provide the questions you need to ask, as well as the key takeaways you should be focusing on during conversations with your health care providers and insurance representatives. As they may have been through these situations before, they’ll be able to provide context and background to a situation that may be new and frustrating for you. Your financial advisor can help you coordinate this if you need help. If you are unable to work due to your condition, you should check any coverage you might have for disability income. If you don’t have individual disability income coverage, check with your employer to see if you are covered under a group disability plan. Your next stop should be with your state disability and Social Security offices. If some time passes before you are approved for disability benefits, you’ll likely receive a lump sum amount covering back payments due to you from the time of your disability. State disability payments are typically limited to six months or a year while Social Security disability benefits are payable until you are eligible to receive Social Security retirement benefits. If you anticipate the need for home health care or an assisted living facility, even if it could be years into the future, you and your financial advisor should research the costs and develop a plan to cover them. In the near term, you could look to family members who can assist you with daily chores and driving you to medical appointments. Every penny you spend for medical costs that exceeds 10% of your adjusted gross income (7.5% if you or your spouse is 65 or older) is deductible. That includes the costs of transportation to and from medical appointments, premiums paid, co-pays, home health care assistance, and any out-of-pocket expenses. You can also deduct a portion of the costs of required home renovations (i.e., wheel chair ramp). Whether you or someone you love is experiencing a lifestyle shift as a result of an unexpected medical emergency, your number one priority right now should be on health and wellness. Even though it’s tempting to try and take care of everything yourself – don’t. Going it alone in the face of a medical emergency can be exhausting. Rather than putting yourself through that, ask for help. A financial advisor who focuses on working with retirees (like myself) will have some experience in this arena. You have so much life left to live, and with an adjusted financial plan, you can define a new set of goals moving forward. Your retirement, even with a long-term medical condition, has the potential to be anything you want it to be. Accounting for new expenses is an obvious “to do” an advisor can help you check off your list. More than that, though, they can help you to reframe the retirement lifestyle plan you had before your medical emergency. They can help you form a budget that addresses your current situation while still planning for the things you value most – travel (when possible), spending time with loved ones, participating in your community, and more. Beyond reaching out to your advisor, remember to include friends and family during this time. They’re likely worried about you and will want to be there for you in any way they can be. You may be going through a wide range of emotions right now but shutting out people who can help will make this transition harder. You have a vast network of people who care about you and want to help. Don’t be afraid to ask for what you need, when you need it.